Manufacturing / Serial number på lager til omgående levering. Se mere på: shop.bimpel.dk - hvor du får 20% rabat på alle priser. 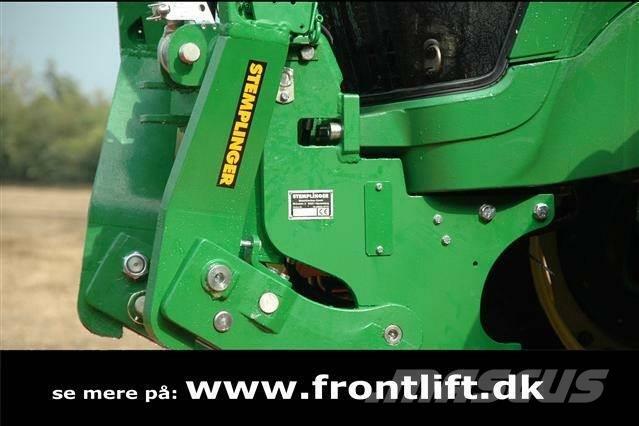 At Mascus Australia you can find Stemplinger FRONTLIFT til John Deere front loader accessories. The price of this Stemplinger FRONTLIFT til John Deere is - and was manufactured in 2019. This machine is located in Tønder Denmark. At Mascus.com.au you can find Stemplinger FRONTLIFT til John Deere and many more brands and models in the front loader accessories. Item details - Condition 1-5 (low to high): 5, Manufacturing / Serial number: på lager til omgående levering.